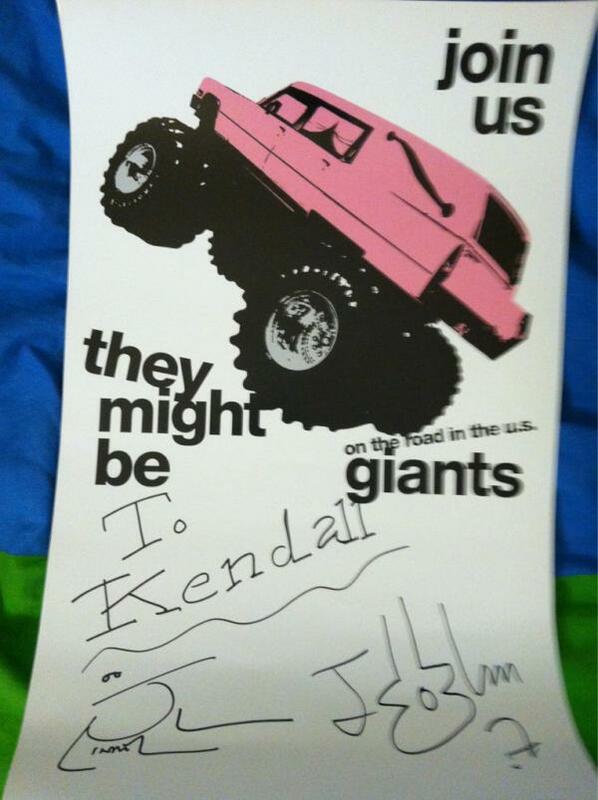 The assistant production manager of the theater I work at surprised me with a signed poster from They Might Be Giants this morning. (She must have noticed me having a dance party in the front row during their show.) Needless to say, I was completely overjoyed! How is your Monday going? Tonight, I was lucky enough to be in the front row at the sold out They Might Be Giants concert. The show was the tenth installment of our college radio station’s “Low Frequency” concert series. 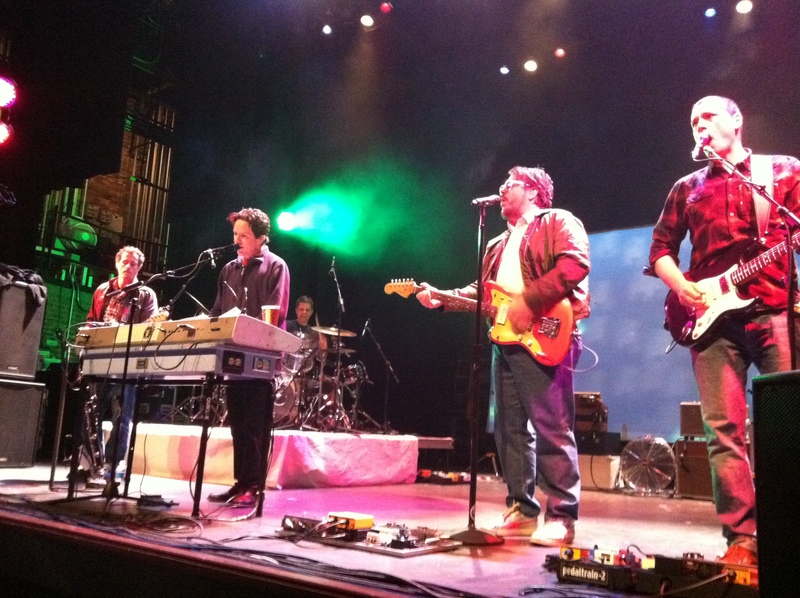 The Brooklyn-based duo, made up of John Flansburgh and John Linnell, was the perfect fit for a show sponsored by a campus radio organization. Why? Because they got their start in the music business when their self-titled EP was a smash hit on American college radio stations…and have been successful ever since! Check out my “Storify” assessment of the whole, wonderful night, and let me know what your favorite They Might Be Giants song is in the comments section.